MPL photo by MJ Kim accompanying the Washington Post interview. 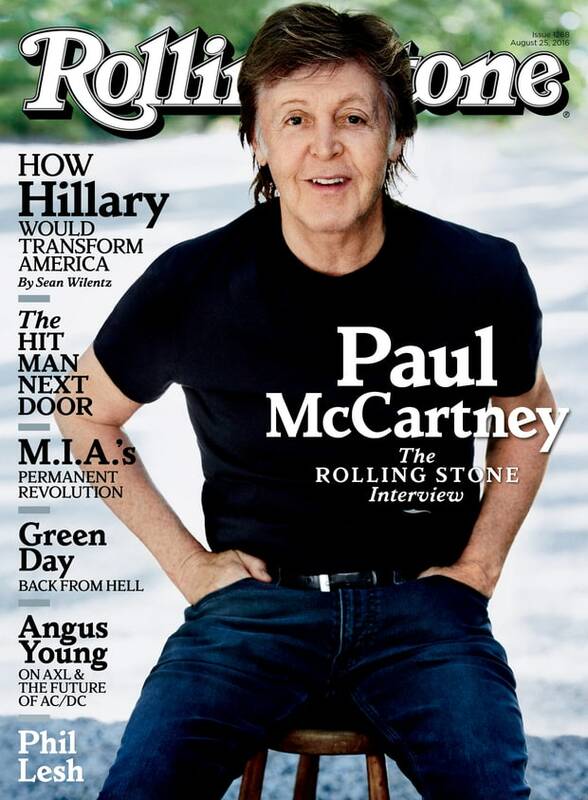 The Washington Post’s Geoff Edgers’ interview with Macca, published in July, was conducted during a tour stop in Denmark. How involved did you get in the song selection? To tell you the truth, this was an idea that was put to me by one of my girls in my New York office, who I respect and is sort of a great music fan and connoisseur. She said, I’ve been listening and putting together playlists and I think it would be great to do this. So she came up with the first playlist. Then I got involved. Her name is Nancy Jeffries. I want to lodge just one complaint with Nancy Jeffries. “Flowers in the Dirt.” I could go on and on about what’s wonderful about that album. And there’s not a song from it. You know why, because it’s about to be reissued. It’s our next big box set. We’re working on that at the moment. So she would avoid that. Will it be released in its entirety? There are all those songs you wrote and recorded with Elvis Costello, many of them not officially released. That’s one of the real exciting things. Those demos. We’re releasing them as part of this package. I’m not sure I’m supposed to be telling you this. … It’s great that you’re a fan of “Flowers in the Dirt.” Cause you’ve got a real nice release coming out. We showed it all to Elvis, and he was just tickled pink. 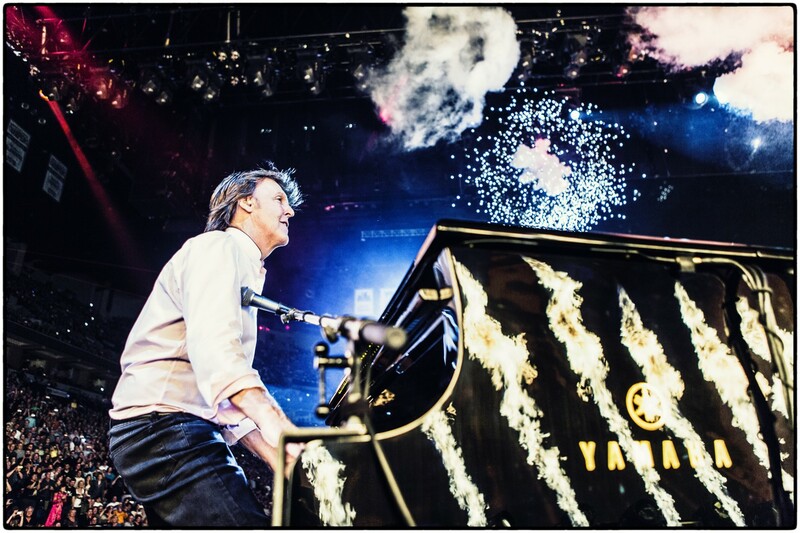 An MPL stage shot by MJ Kim from the Rolling Stone interview. Returning to the subject of “Let It Be,” Fricke asked him if there any chance it will ever be rereleased. And, his relationship with Yoko? 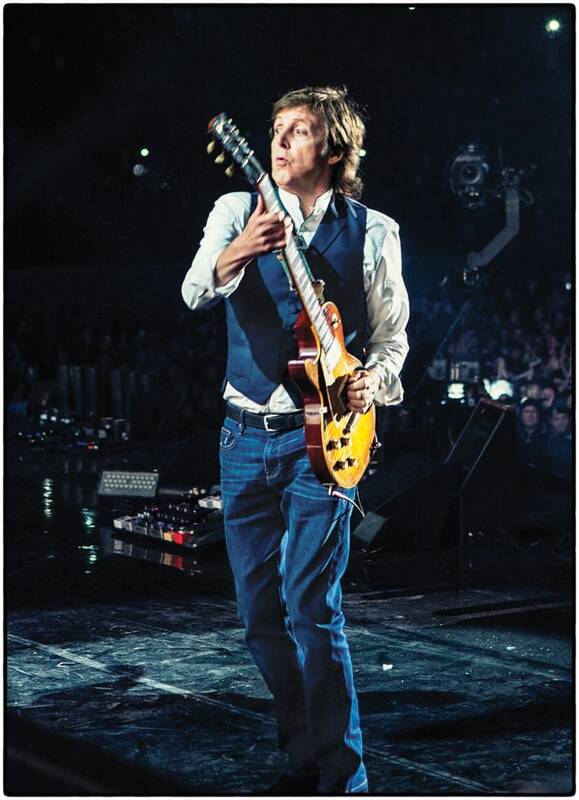 A New York Times shot of McCartney in concert. 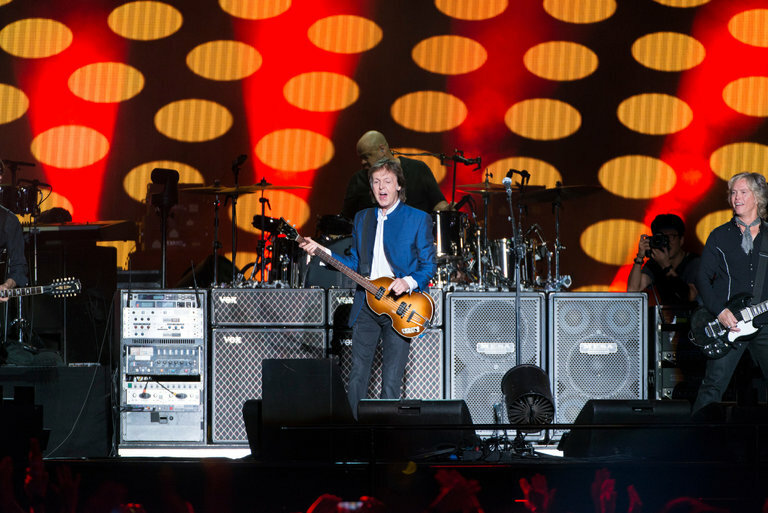 In The New York Times interview, conducted via telephone by Caryn Ganz and published in August, McCartney addressed the unchanging parts of his touring show, including telling the same stories over and over, night after night. Could he envision himself playing a show of almost exclusively new songs, like Bob Dylan has done? This entry was posted in Uncategorized and tagged " Apple Corps, A Hard Day's Night, Beatlefan, bob dylan, Flowers in the Dirt, George Harrison, John Lennon, Lady Gaga, Let It Be, Live at the Hollywood Bowl, Love Me Do, New York Times, Paul McCartney, Pure McCartney, Ringo Starr, Rolling Stone, Rusty Anderson, Something New, The Beatles, Washington Post, Wings. Bookmark the permalink. Not the one you’re thinking of, but one of his fellow travelers! Thanks both for the updates all year around & the above material. I check your blogpage everyday here in N.Ireland, enjoying the Beatle updates & news. The McCartney material above was excellent & especially the ‘Let It Be’ / FITD possible release. Thank-you for your efforts all year around. Love the “new” questions by Edgers and Fricke. Especially with Edgers taking offense to no “Flowers” tracks on “Pure McCartney”, I love “Pure” but that is a glaring omission.